Will the Blu-ray format be threatened by internet downloads? Thereâ€™s been a lot of discussion that the winner of the Hi-def optical disc format wars (namely Blu-ray vs. HD DVD) was irrelevant because video stream downloads online or through cable/satellite will make either version obsolete in the near future. Personally, I think the optical disc and more specifically the Hi-def format will have a long and prosperous life. By now itâ€™s clear that Blu-ray Disc (BD) has won the Hi-def battle and is poised to be the format of choice. With this clarity in the field, it should help the sales of BD players, titles, and peripheries which will encourage manufacturers to develop more content and hardware for this format. At the same time, there are two major reasons why the BD format will continue to thrive even amid heavy speculation (mostly from Microsoft & Apple) that BD days are numbered; 1) Ease of use, 2) Price. Most people who read blogs and surf the internet may assume that because everyone they know is fairly computer savvy, that everyone must be. But that is far from the truth. Even though I havenâ€™t conducted an official survey, Iâ€™m willing to bet a majority of the people around the world find it far easier to simply pop a disc into a player and press play than downloading a file from the internet and playing it through a capable video program on their computer. Not to mention the time it takes to download a HD file is ridiculously long, especially if youâ€™re ready to watch a program immediately. Plus the BD format now ranges from 25GB ~ 100GB capacity. At that size, how many movies can one download before they fill up their hard drives, especially as it competes with HDD space with incumbent software, picture files, music files, etc? In order to conserve space, one would have to back-up those BD movies onto BD-R discs. Again, showing the necessity for the BD format, writers and players. In the end itâ€™s just easier to purchase a movie on disc than make life complicated by trying to download a movie. The second issue is price. BD players and discs have been reduced to very reasonable pricing, (as low as $400 for a player and about $20 for a BD movie) which will only continue to decrease as competition increases and the format matures. Considering the higher degree of difficulty and experience required to download titles, the price of existing BD products is reasonable enough to encourage customers to simply purchase them. In fact I truly believe the initial slow adoption of the format had far more to do with the consumerâ€™s nervousness over choosing the wrong format rather than price alone. Now that BD is the clear winner, I think the sales will more accurately depict the market size for this product. Plus with the cost of ownership decreasing and the superior quality and increased capability in the format, the run on Blu-ray titles should be similar to the market for DVD when it was first introduced. There are many other reasons that can be used in the debate as to why BD will not have a shortened lifespan, but ease of use and price some up the two major points in any argument. So if youâ€™re holding out on getting a BD player because you think video stream is the solution, I hope you have plenty of time and patience. I will be enjoying the incredible picture and sound of my physical media in the time it takes you just to log-on to your computer and Iâ€™ll most likely be finished before your movies even finishes downloading. I donâ€™t know about you, but Iâ€™d rather live in the moment than wait for eternity. 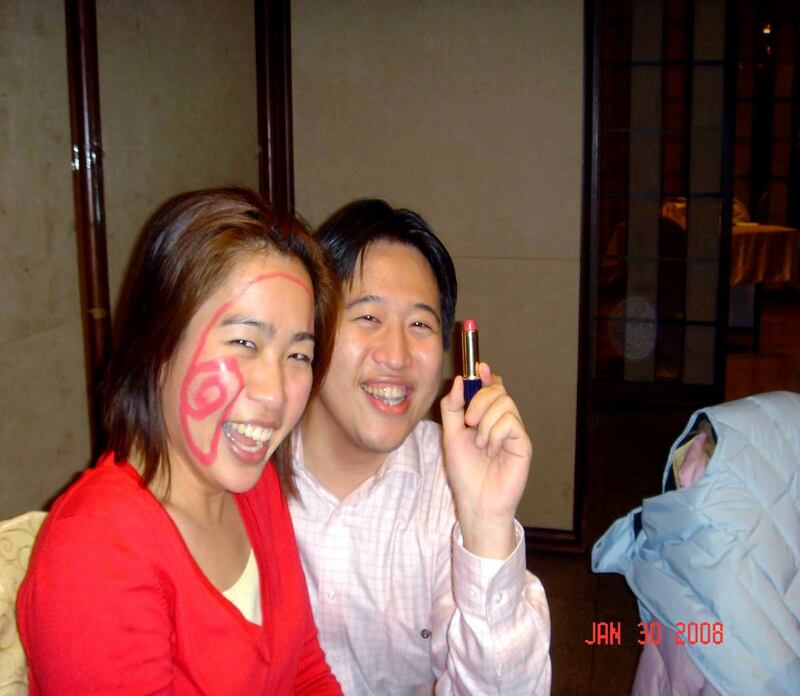 How Vinpower Digital Celebrated the Chinese New Year in Taiwan. The Chinese New Year differs from the Western New Year as to when it is observed, but is equally celebrated and enjoyed. The date is based on the Chinese calendar, typically occurring in early February. It is a tradition in Taiwan that the entire workforce at a company gathers together to have a feast at the end of every lunar year (New Year). 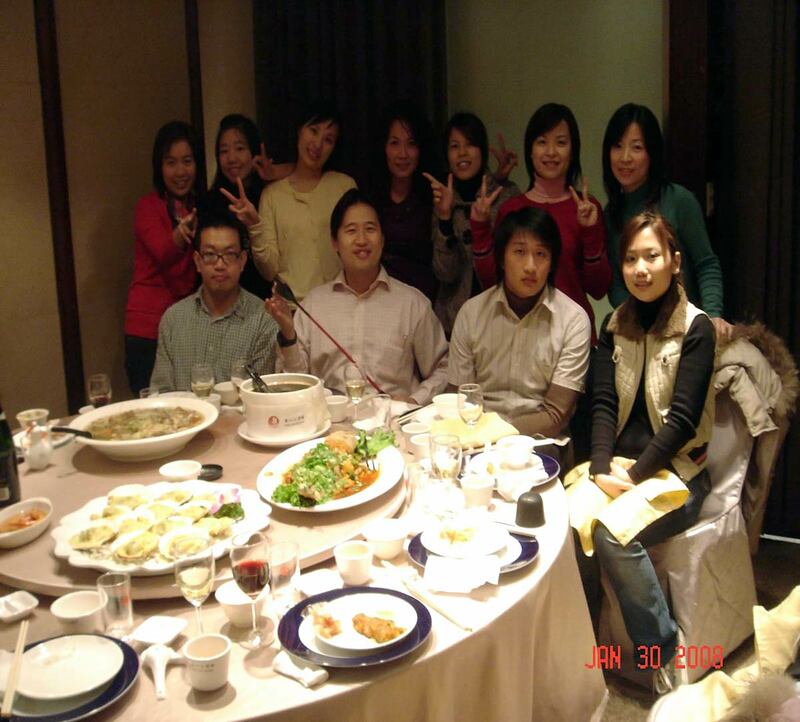 Many new colleagues have joined Vinpower this year, so we would like to do something fun during the dinner. So we played a game called â€˜Crazy Diceâ€™ and it does drive people crazy! Everyone require to take turns to guess a number inside the dice box, whenever a person guesses the correct number, s/he has to be â€œpunished harshlyâ€ with lipstick, Love Palm or must drink glasses of wine. Everyone was so exciting and nervous, that we forgot to enjoy all the delicious food on the table. Itâ€™s a great bonding experience and I look forward to next years company dinner! Gina got a dollar sign on her face from Calvin because she got a bingo! However, she won the first prize â€“ received lots of $$$! How lucky! Finally, we toasted for the success of new coming year for Vinpower Digital. The Winner Isâ€¦Blu-ray! Or Is It the Manufacturers of Optical Disc products? For the past 2 years the battle over the hi-def optical disc format has been hard fought by the HD DVD camp heralded by Toshiba and the Blu-ray camp lead by Sony. This is the second go round in the home video player market for Sony, so they gained a lot of experience and knowledge from their previous failure. Thereâ€™s been plenty written about the two formats in the mainstream media and even in this blog, so thereâ€™s no need to continue discussing the merits of either format. However, now there seems to be a clear victor in this battle of hi-def supremacy. Though itâ€™s been speculated for months that Blu-ray will be the eventual champion, the HD DVD camp was intent on making a last ditch effort by dropping the price and willing to fight on. This past Friday, it was reported, though not officially confirmed, that Toshiba has admitted defeat and will discontinue the HD DVD line. For both sides there was a tremendous amount of money spent in development, promotion, advertising, etc, all in pursuit to be, what is estimated, the heir apparent to the DVD format. In the end the writing was on the wall and there was no reason for the HD DVD group to throw good money after bad. It will take some time to sort out all the loose ends, but thatâ€™s really all thatâ€™s left to do. So who is the real winner in this decision? Of course Blu-ray because they reversed their previous failure in the video cassette field and can claim victory and all the accolades that go along with it. But really itâ€™s the manufacturers of optical disc products like drives, players, media, DUPLICATORS, etc. They no longer have to sit on the fence trying to work with both sides and can concentrate all their efforts on one format. At the same time, the consumer is no longer torn as to what format to purchase and not be frightened about purchasing hi-def merchandise for fear of being stuck with the loosing format. So the market has narrowed, opening the competition between vendors to make the Blu-ray products desired by the consumer and get them into the market quick before the price and in turn profits drop significantly or a new technology makes it obsolete. Who knows how long Blu-ray has to bask in their victory, but theyâ€™re not the only oneâ€™s who will rejoice with HD DVDâ€™s withdrawal. So for all the manufacturers who produce products using Blu-ray technology, now your only competition is each other and may the market bear fruit for us all. Is the Hi-Def Battle Over or has It Just Intensified? All evidence points to the fact that the Hi-Def optical disc battle between HD-DVD and Blu-ray is essentially over with Blu-ray the clear victor. But there is too much money in royalties to be won for the HD-DVD camp to just bow out. Sony undoubtedly learned from their failed Beta cassette battle with VHS that content is king and is clearly winning the content game. This is evident by the exclusive backing of a majority of major Hollywood film studios (not to mention the fact that Sony owns one of those major Hollywood studios), the declaration that disc rental and retail outlets like Blockbuster and Target have agreed to carry Blu-ray exclusively in their brink and mortar stores, and even the recent announcement that Netflix, Inc, the online movie rental company, will carry Blu-ray discs exclusively as well. Netflix previously carried both HD-DVD and Blu-ray discs, but said the decision of four of the six major studios to issue films only in the Blu-ray format made it likely that the Sony format will be the ultimate victor. The momentum seems to be squarely in the Blu-ray camps favor, however the HD-DVD camp, helmed by Toshiba, is not giving up without a fight using the only advantage it has left, price. Toshiba has lowered the price of all HD-DVD players to as low as $150 plus Microsoft lowered their price significantly for the HD-DVD player attachment for the X-Box 360. Whether this approach will garner any momentum for the flailing HD-DVD camp, itâ€™s hard to say, however the reported sales volume for HD-DVD players vs. Blu-ray players reported narrowed to a statistical dead heat for the week of January 29th, 2008. This could be an aberration or a minor shift in the market due to the price drop which will correct itself once the consumer market realizes the shortage in content, or it could lure some content providers and retailers back into discussions with the HD-DVD camp. Only time will tell, but I for one hope that we either see a true champion emerge soon or a collaboration that will allow each format to play and burn in compatible equipment, much like the agreement reached between the battling DVD-R and DVD+R format. The longer this battle wages, the longer consumers will more likely sit on the sideline and discover a new technology better than both HD-DVD and Blu-ray. Then both parties will loose because they will have spent a fortune developing and marketing a product that never made it into the mainstream consumer market place. Does anyone remember how the DAT was going to revolutionize the audio experience? Of course not because the price was too high for the components and product so a more effective format emerged as the champion known as the Compact Disc. Technology moves fast and waits for no one, if these two warring parties donâ€™t realize that, they may both miss the boat and the riches they are battling over.